After a unison chant, the piece builds to a dramatic climax, concluding on a quiet note. 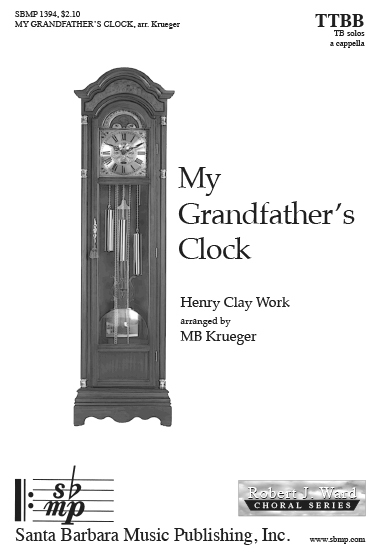 Sound the chimes four times to introduce the piece, provide the starting pitch, and dramatically begin a concert. 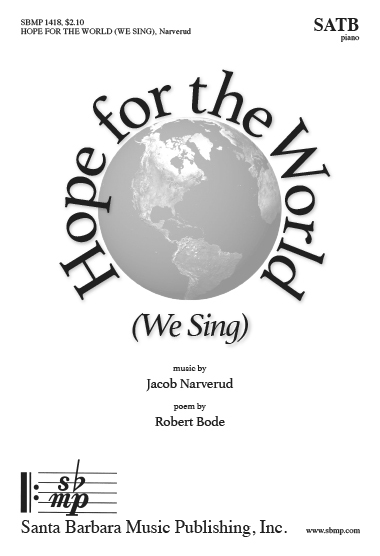 Subtitled “A hope and vision for the new millennium”, this is a piece that will especially resonate with young singers as it asks them to imagine a world of compassion that celebrates diversity. 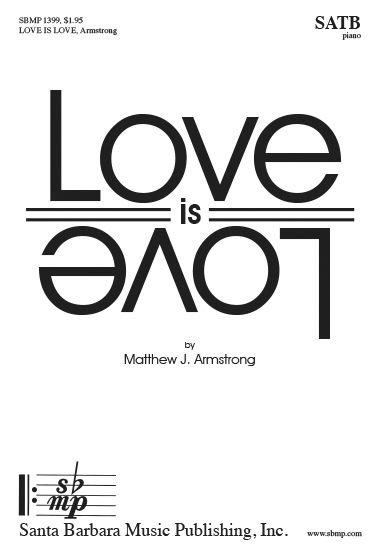 Upbeat in tempo, with melodies moving from part to part, this is a piece that needs to be sung. A large choir and the optional brass accompaniment can make it extra powerful. 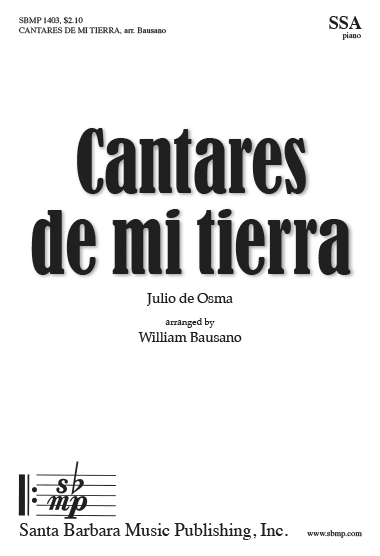 The arranger has chosen two of the famous Cantares from Spain. The Spanish flavor will be self-evident as these great pieces unfold. 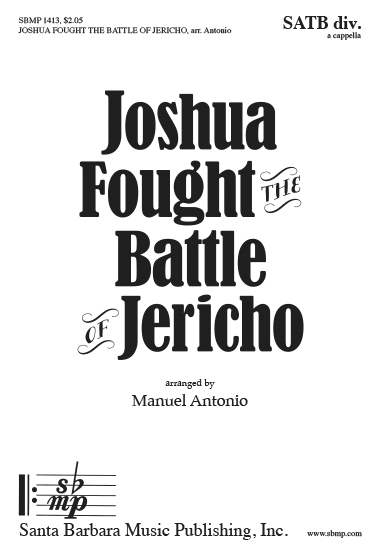 This is a very special dramatic addition to the treble concert repertoire. 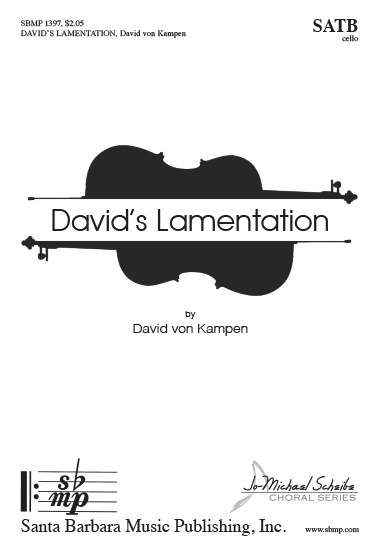 A dramatic cello accompaniment sets the tone for this highly creative take on the famous text. At once serious and beautiful, this will add an interesting contrast to a program. 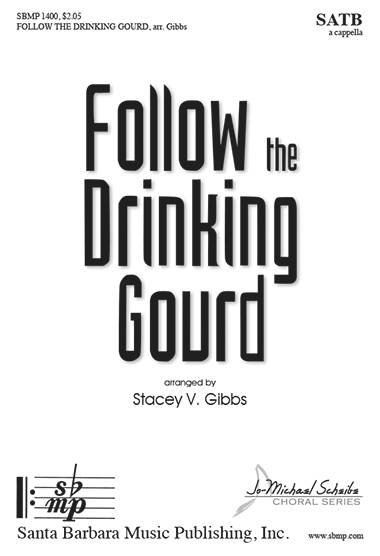 Stacey strikes again with another dramatic winner. Need we say more! 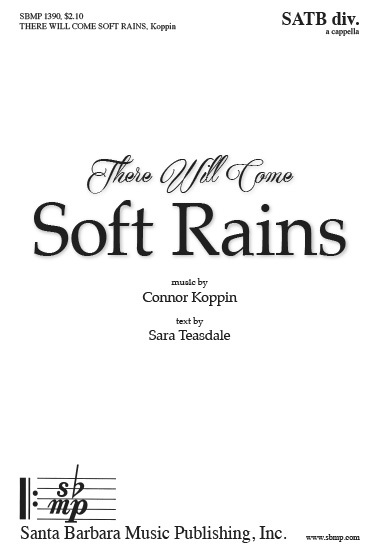 Here we have the rare opportunity for treble choirs to imitate the Woo-oo of the train. 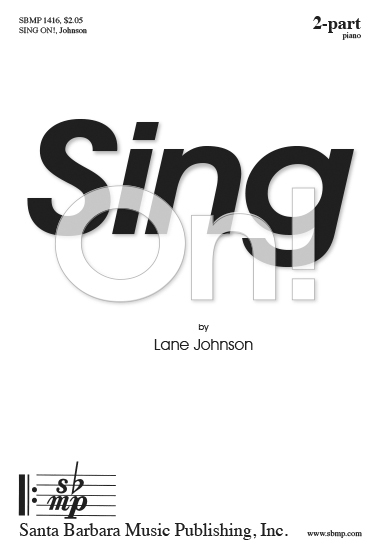 This fun arrangement will delight both the audience and the singers. The famous aria from the opening of act two of Carmen offers a wonderful introduction to the world of opera. The opera, created in French, has the aria here offered in English. With two parts most of the way and moderate ranges, singers young and old can enjoy this. 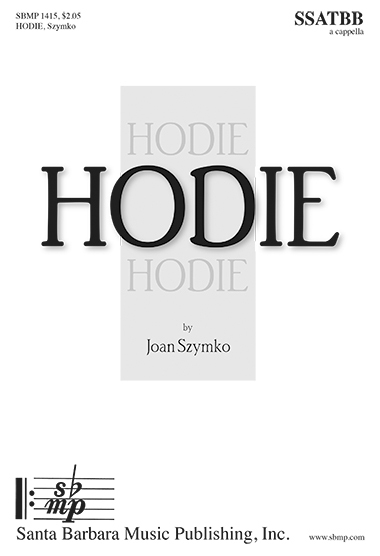 The treble version of Joan’s Hodie has been a best-seller for many years. 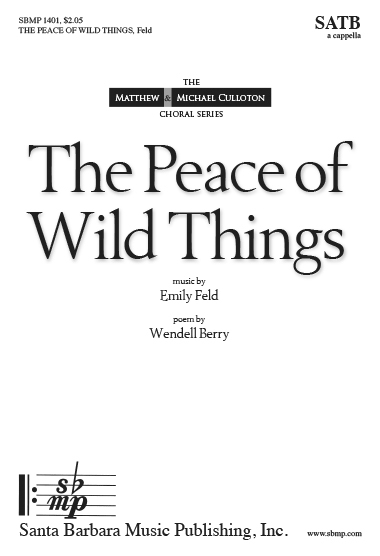 Mixed voice choirs now can enjoy this stunning setting with its ever-present rhythmic drive, and melodies that soar. 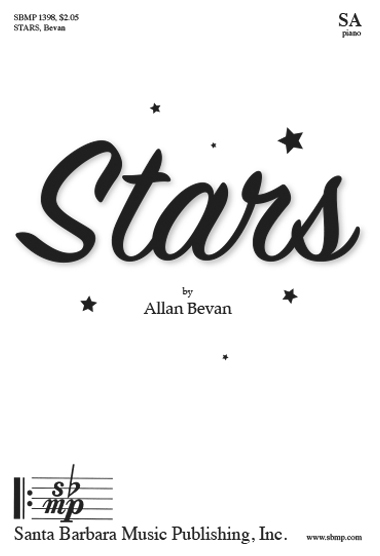 he uplifting poem with its theme of hope inspired a rhythmic piano accompaniment, and for the singers, great melodies that move from part to part. 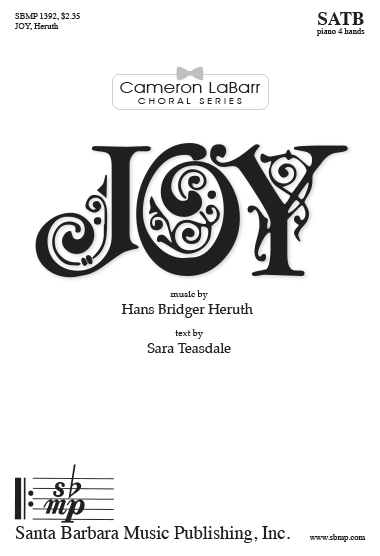 If ever the occasion arrives for an all-convention or all-city sing, the profound message and conservative ranges make this the perfect choice. 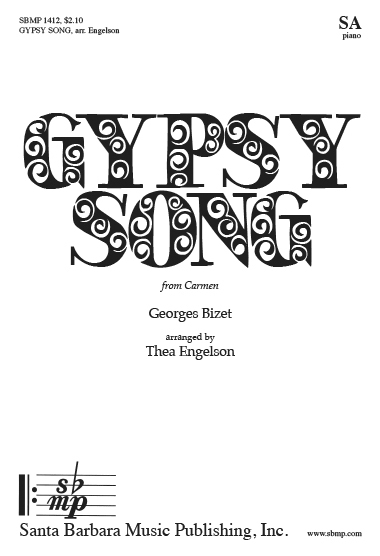 A great closer, this arrangement really rocks, with clever treatment of the text at the forefront, and the melody tossed about so all singers get their turn to shine. Four hands on the keyboard give great rhythmic support to this dramatic piece. 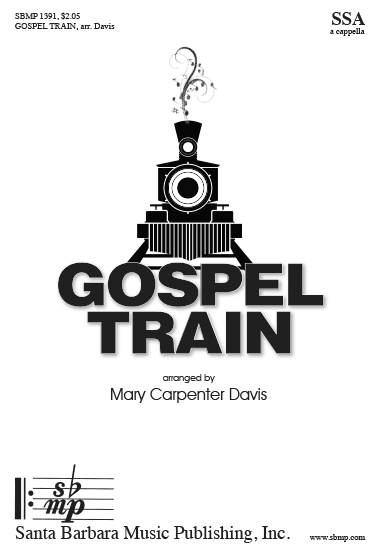 A superb festival offering for the large choir, it is guaranteed to brighten any program. Some divisi exists only in the soprano part. This song can be seen as a game. It starts off with a single voice part and as the “game” or song progresses, it becomes more complex. It is accompanied by traditional hand clapping and African drums. 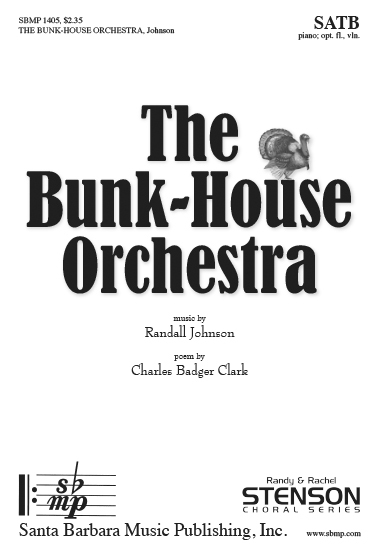 The piece has a natural build in dynamic and texture as the music is layered with each new entry. It promises to be an exciting addition to a program. 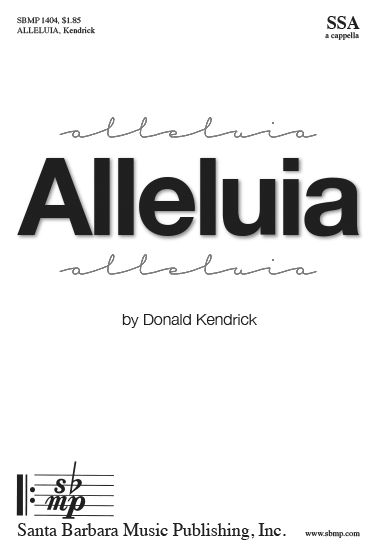 The composer cleverly weaves the melody in and out of the four parts making this a joy to sing, and fascinating to hear. The left hand of the piano maintains the pulse, thereby anchoring this delightful piece. 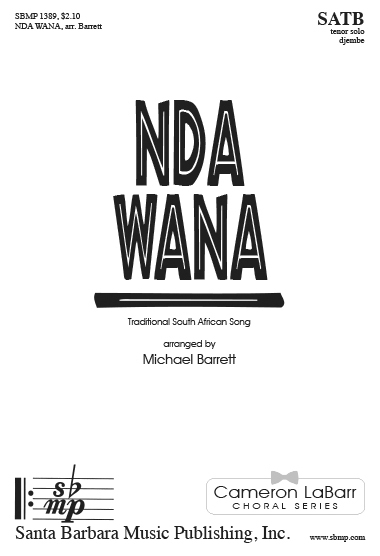 This clever piece can be sung by SA, or treble and bass. If the latter, the basses are to sing the top part an octave lower, the treble to sing the lower part. The uplifting text will appeal to many. 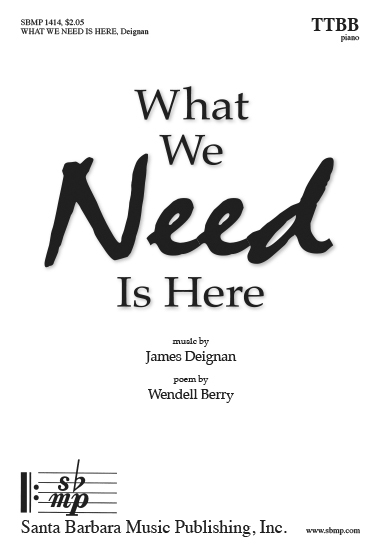 Wendell Berry’s famous poem comes to gorgeous life in this sensitive and dramatic setting. 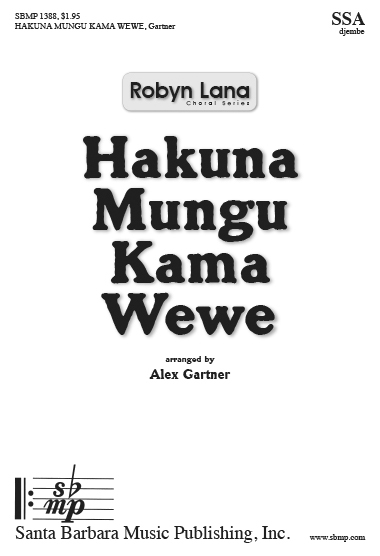 Fine choirs will love this as will their audiences. 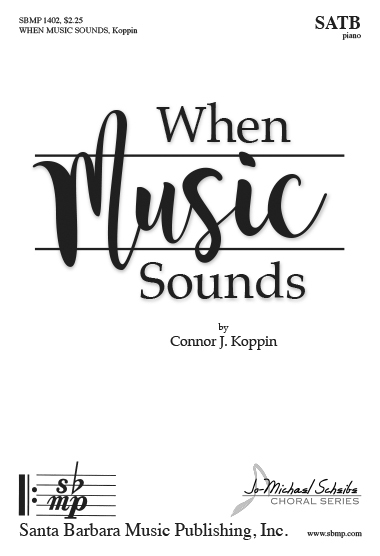 A soprano solo, optionally sung by all the sopranos, provides the elegant introduction, Beautiful melodies abound here as the story of the singer’s dance unfolds. 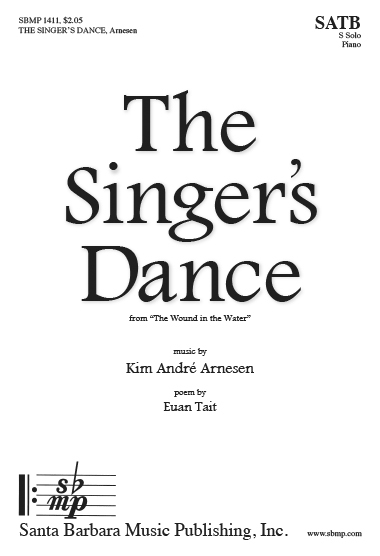 The Singer’s Dance is movement 12 from the major work, the Wound in the Water. 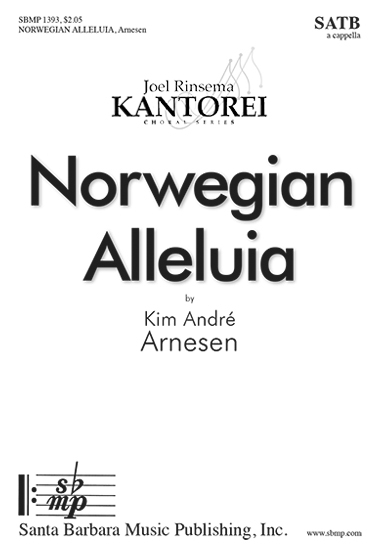 Labeled a “masterpiece” by all who have heard it, this received its premier in Norway performed by Conspirare conducted by Craig Hella Johnson. 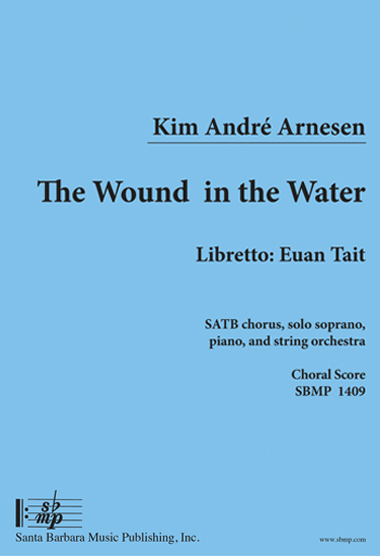 Set to a profound text by Euan Tait, composer Arnesen has again created a very special addition to the library of major works. The Wound in the Water explores the theme of Mammon by singing of our exile and the wounding of our world, of the beauty of the earth, and of the struggle of profoundly divided humanity towards a shared song. Mammon, the traditional symbol of the love of greed and money, is a force that divides us, both internally — we become divided from ourselves, from our capacity for love - and communally — human beings become creatures of competition and conflict. Our relationship with ourselves, others, and the vividly living planet that is our home, slowly erodes and then collapses — and we come to live as homeless exiles in this threefold sense. This work recognizes the long journey towards healing that we have to undergo, and ends with a fragile attempt at a shared song. 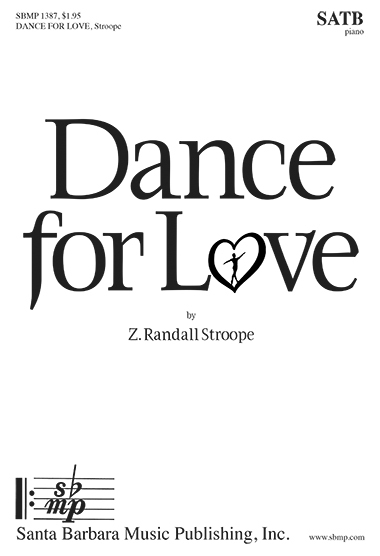 Teasdale’s famous poem is dramatically defined in this musical gem. 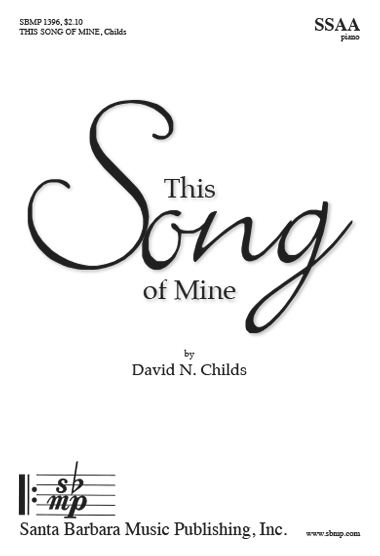 With lots of color, and great expressive dictates, fine choirs will revel in the challenge of this beautiful composition. 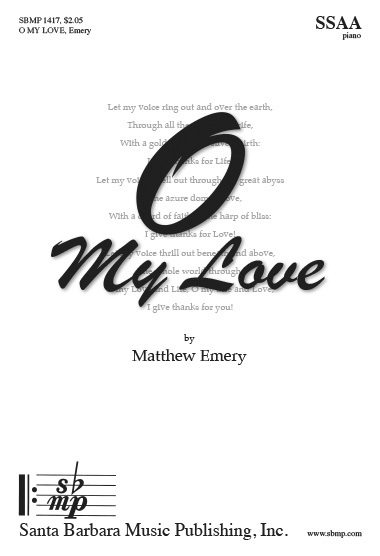 Set to an elegant and thought-provoking text by R. Tagore, the composer created beautiful melodies and an accompaniment in the style of a fine art song to bring this text to vivid life. 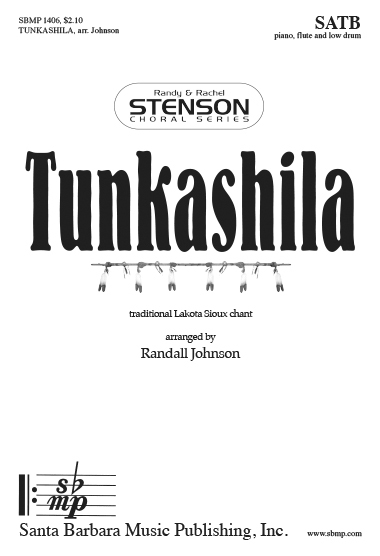 An American Indian chant is given authentic attention in this vibrant arrangement. A flute and drum join in to add interest to the composition, while a piano anchors and enhances it. The poignant Wendell Berry poem provided the inspiration for this special piece. Sensitive music it is, with beautiful melodies, both rare treats for male singers. 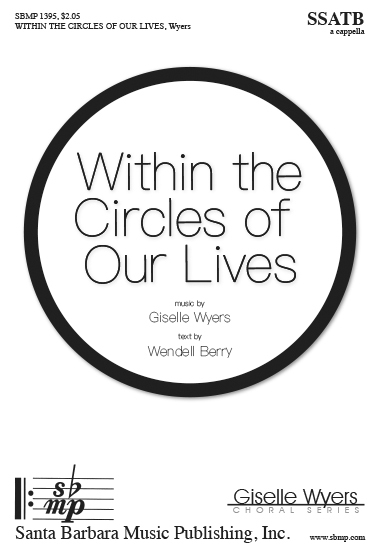 The profound text by Wendell Berry offers some possibilities for choirs wishing to add a bit of staging to their performance. 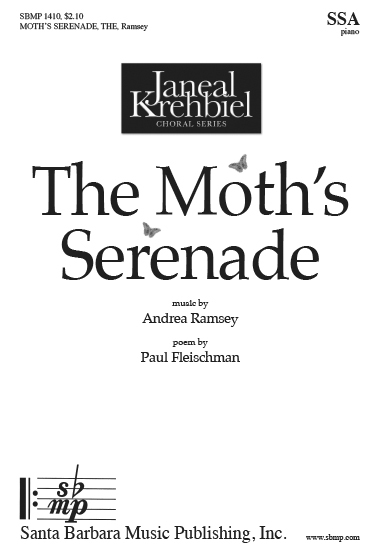 The composer, reflecting on the text, uses ascending intervals of the fifth, sixth, and fourth as motives symbolic of a circle. At the conclusion, the sopranos having been together throughout, now divide into two parts, echoing each other to add to the drama of the ending. 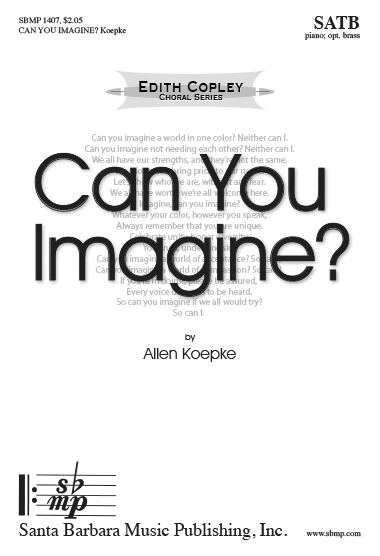 This is a cleverly constructed composition that will delight singers as they bring it to life.